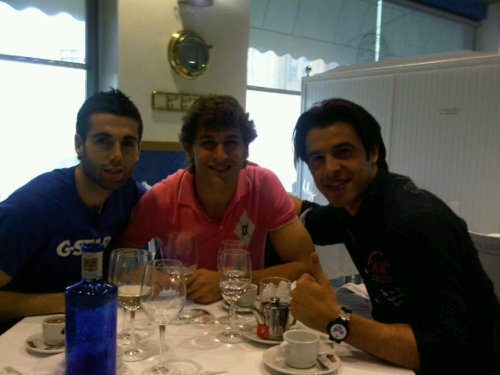 Fernando Llorente with friends. . Wallpaper and background images in the Fernando Llorente club tagged: fernando llorente footballer athletic de bilbao 2010 spain national team. This Fernando Llorente photo contains dinner table, bistro, and brasserie. There might also be dining room, dining room, brunch, and holiday dinner.